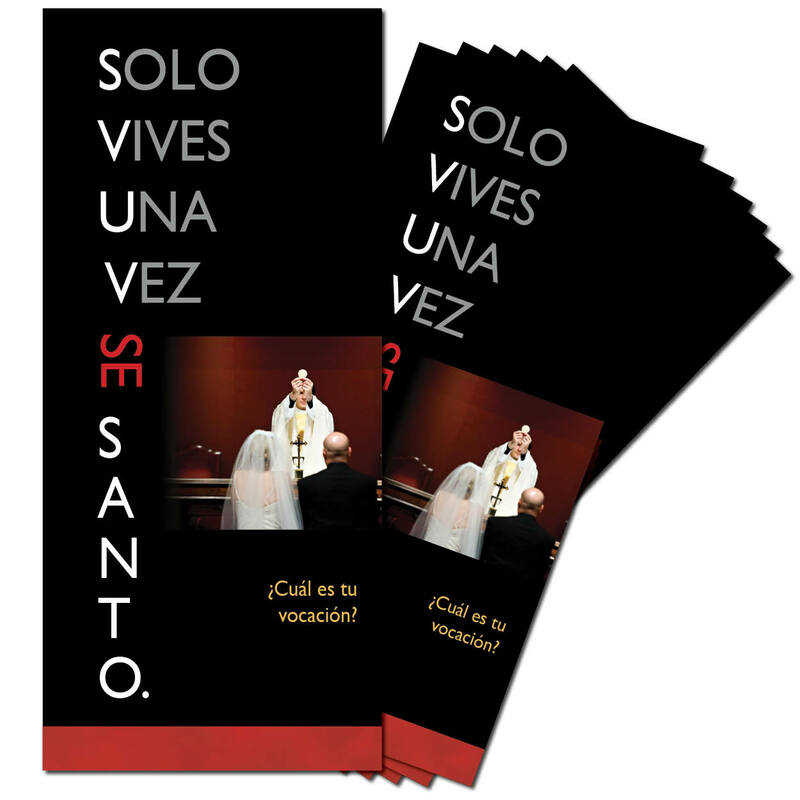 Great brochure teaches teens about the four main vocations and answers common questions. 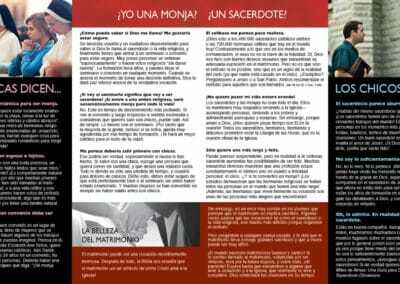 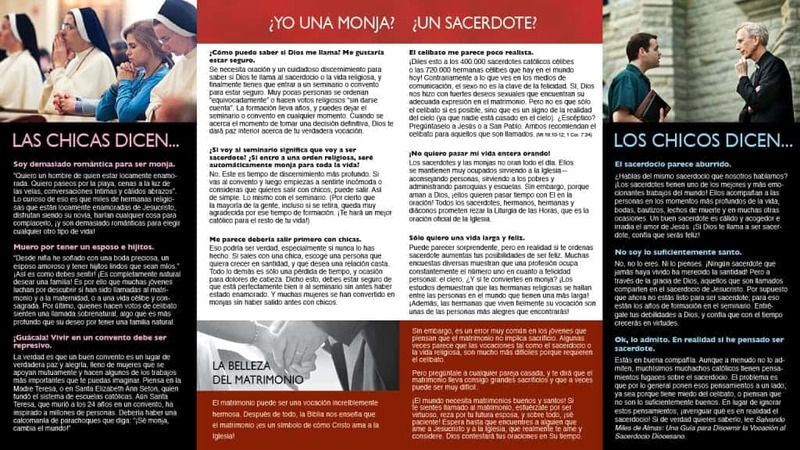 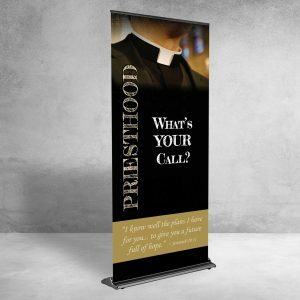 This brochure is written for teens who may feel some skepticism about even considering a vocation to priesthood or religious life. Based on the English YOLO brochure. 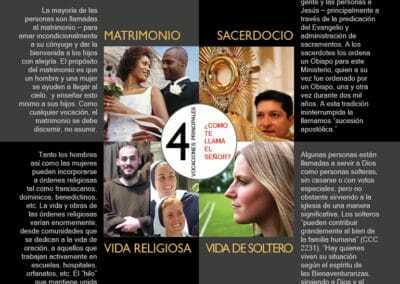 When first unfolded, the unique design presents the four main states in life: marriage, the priesthood, religious life, and single life. 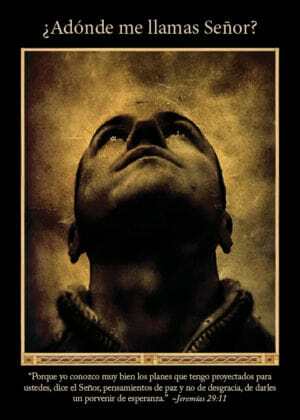 When further unfolded, it presents frank answers to teens’ questions about celibacy, boredom, and happiness. 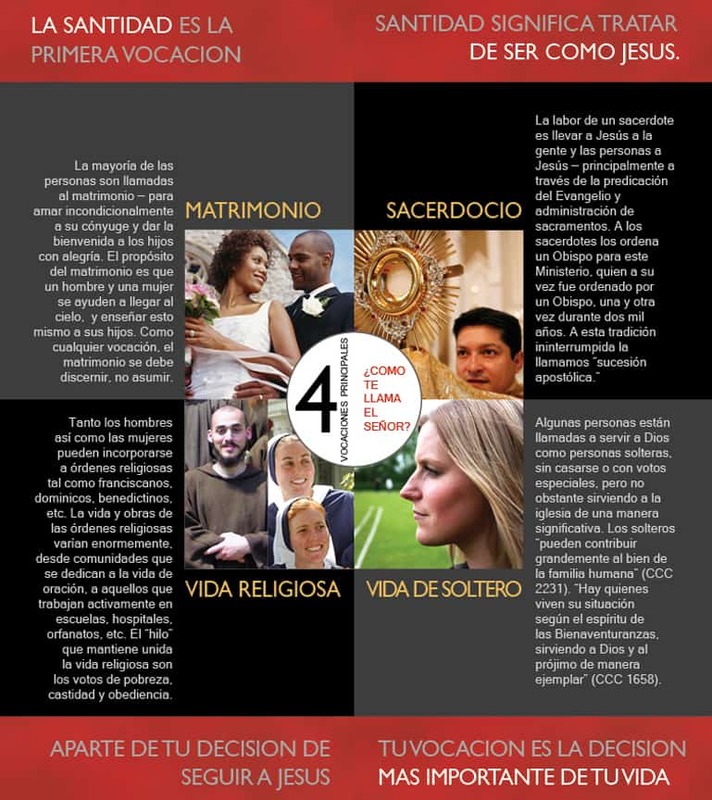 The back of the brochure includes six practical ways to discern one’s vocation.